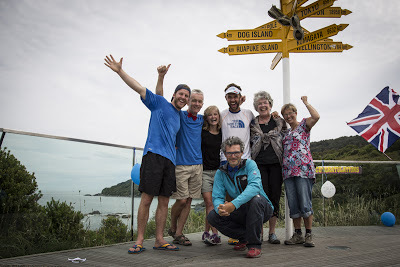 February 2nd 2013 recorded less than 1 day after Jez Bragg recorded the fastest time of 53 days 9 hours and 1 min for crossing The Long Pathway – Te Araroa Trail in New Zealand. I think you can hear the emotion in his voice! This entry was posted in Uncategorized and tagged 53 days 9 hours 1 min, 53:09:01, Audio interview with Jezz bragg, Family, New Zealand, Te Araroa, teararoa, The North Face, thenorthface, TNF by talkultra. Bookmark the permalink.